For those who’ve followed NASA’s Cassini mission these past 20 years, it’s still a bit hard to believe it’s gone. On Friday, September 15th, the spacecraft plunged itself into Saturn’s atmosphere, becoming part of the planet it had studied tirelessly for 13 years. While Cassini’s mission is over, there’s plenty of data and imagery from it to inspire us for years to come, including the last photo the spacecraft ever took. On Thursday, just hours before mission end, Cassini snapped a photo of its final destination, roughly 394,000 miles (634,000 kilometers) from Saturn. 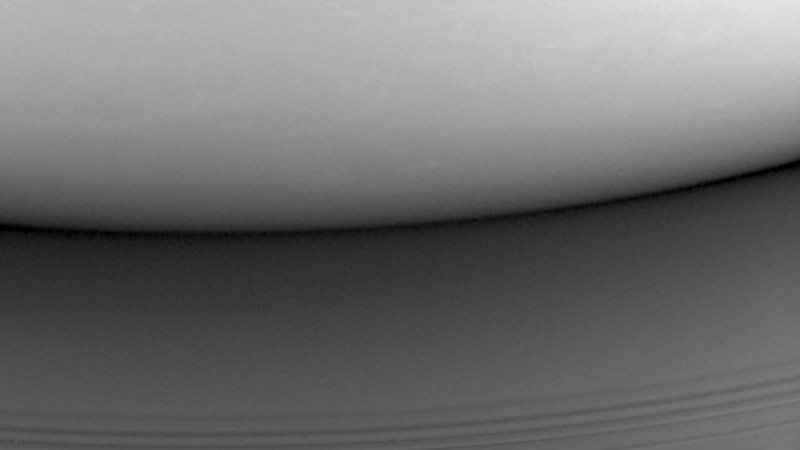 In this monochrome view, part of the planet is illuminated by light reflected from Saturn’s icy rings. According to NASA, this photo was taken when this side of Saturn was facing away from the Sun, but when Cassini made its final descent into the planet’s atmosphere, it was daytime. In its 20 years with us, Cassini traveled 4.9 billion miles (7.9 billion kilometers), discovered six Saturnian moons, and collected 635GBs worth of scientific data. Though the spacecraft is no more, the hard, exciting work of poring through its information is just beginning.